1. 4a Joel Alberts, Mantorville, Minn.
4. 77 Tom Brink, Winona, Minn.
5. 71 Jason Cummins, New Richland, Minn.
6. 75g Jordan Grabouski, Beatrice, Neb. 8. 12 Jason Hughes, Watts, Okla.
9. 21b Brandon Jensen, Hammond, Wis.
10. 110 Jason Miller, Osceola, Wis.
11. 75 Terry Phillips, Springfield, Mo. 12. R1 Jay Richardson, Spring Valley, Wis.
13. 69 Lucas Schott, Chatfield, Minn.
14. 4 Craig Shaw, Dexter, Minn.
16. 11 Lance Hofer, Cochrane Wis.
17. 14 Jon Tesch, Watertown S.D. 18. 14w Clayton Wagamon, Blaine Minn.
19. 20m Mark Motl, Owatonna Minn.
20. 21t Lance Town, Louisburg Kan.
21. 27s Jason Schlangen, Cresco Iowa. 22. 29d Brad Dierks, Clarence Iowa. 23. 29h Joe Horgdal, Kasson Minn.
24. 3 Kelly Shryock, Fertile Iowa. 25. 44 Alan Wagner, Orchard Iowa. 26. 54 Jeremy Houle, Ham Lake Minn.
27. 65 Tommy Myer, Blooming Prairie Minn.
28. 68 Tyler Clark, Goodview Minn.
29. 89 Eric Pember, Pittsville Wis.
30. 89x Paul Harelstad, Bloomer Wis.
31. 99 Josh Angst, Winona Minn.
32. 99 Jason Grimes, Jamestown N.D.
33. IOU1 Brent Larson, Lake Elmo Minn.
34. V2 Joey Jensen, Harris Minn.
35. 1 T.J. Herndon, Atwood, Tenn.
36. 11 Josh Griggs, Dewey, Okla.
37. 17 Lucas Conley, Spring Hill, Kan.
38. 1K Pat Graham, Ames, Iowa. 39. 20 Rodney Sanders, Happy, Texas. 40. 20R Bryan Rowland, Woodward, Okla.
41. 23 Justin Rexwinkle, South Coffeyville, Okla.
42. 23K Darwin Karau, Kasson, Minn.
43. 24s Mike Stearns, Hecla, S.D. 44. 26G Bob Gierke, Westport, Minn.
45. 2s Stormy Scott, Las Cruces, N.M.
46. 31 Corey Dripps, Waterloo, Iowa. 47. 7 Al Hejna, Clear Lake, Iowa. 48. 7K Jason Krohn, Slayton, Minn.
49. 90 Steve Wetzstein, West Concord, Minn.
50. 90J Jay Ihrke, Dover, Minn.
51. 91 Craig Thatcher, Knapp, Wis.
52. 95 Keith Foss, Winona, Minn.
53. 99H Trevor Hunt, Kearney, Mo. 54. R5 Hunter Rasdon, Jonesboro, Ark. 55. 98 John Allen, Chanute, Kan.
56. 11s Scotty Bough, Nevada, Mo. 57. 4 Bill Byholm Glidden, Wis.
59. 50iii Brandon Davis, Medford, Minn.
60. 0 Les Duellman, Winona, Minn.
61. 72 Doug Hillson, Blooming Prairie, Minn.
62. 2 Grant Junghans, Manhattan, Kan.
63. 4r Dereck Ramirez, Woodward, Okla.
64. 1st Johnny Scott, Las Cruces, N.M.
66. 85 Tom Tillison Jr., Wellston, Okla.
67. 49 Bob Timm, Winona, Minn.
68. 49jr Jake Timm, Winona, Minn.
69. 52w Nate Wasmund, Rochester, Minn.
70. 23g Robbie Gates, Alma, Ark. 71. 40 David Schuster, Waterville, Minn.
72. 7j Justin Johnson, Gardner, Kan.
73. 5 Brandon Beckendorf, Danube, Minn.
74. 96 Greg Jensen, Albert Lea, Minn.
75. 39 Luke Driskell, Stilwell, Kan.
76. 1* Adam Penn, Shreveport, La. 77. 1a Dwaine Hanson, Lakefield, Minn.
78. 07 Scott Heeren, Forreston, Ill.
79. 21x Travis Saurer, Elizabeth, Minn. The 4th Annual World Modified Dirt Track Championship presented by Red Tail Tackle will be held Thursday-Saturday, July 24-26, at the Deer Creek Speedway in Spring Valley, Minn., with a whopping $15,000 going to the winner and each of the 26 main event starters pocketing a minimum $1,500. Past WMDTC winners include Brad Waits (2011), Ryan Gustin (2012) and Jason Hughes (2013). On Thursday and Friday, drivers will qualify through time trials in groups of five cars with a green-white-checkered format. The top 6 qualifiers from each group will be inverted for that heat race. Heat races will take the top 12 in passing points to the “A” Main with the remainder going to one of the “B” Mains. Points will be awarded for time trials, heat races, “B” Mains and the “A” Main each night with the top 6 in points being locked into Saturday's “A” Main. The highest overall points earner during the first two days will earn the pole for Saturday's “A” Main, second most points in the middle of the front row, third most points on the outside of the front row and so on for the 18 qualified drivers. 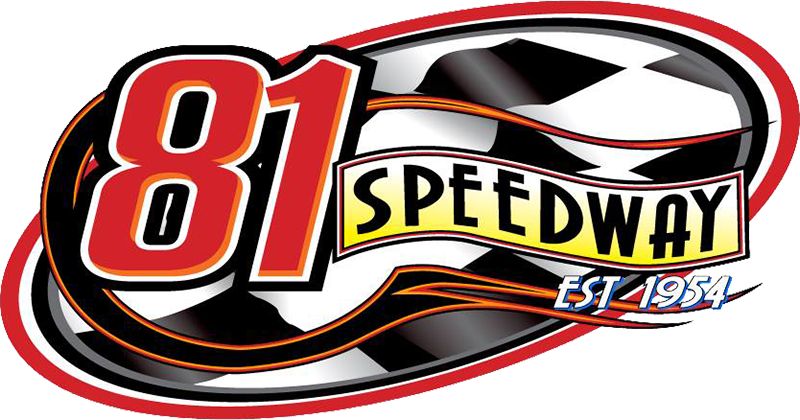 Saturday will feature an “alphabet soup” of main events with the 19th-highest points earner on the pole of the “B” Main and the lowest points earner starting last in the first “last chance” event. An open practice will be held on Wednesday, July 23, from 6-9 p.m. This will be the only night for hot laps. Drivers may enter by mailing in the completed entry form, faxing it to 515-832-7958 or by calling the USMTS office at 515-832-7944 during normal business hours. The entry form is available for download at www.usmts.com/WMDTC2014.pdf or check under the Downloads tab on the home page of www.usmts.com. “A” Main (100 laps): 1. $17,000, 2. $8,500, 3. $5,500, 4. $4,500, 5. $3,700, 6. $2,700, 7. $2,200, 8. $1,900, 9. $1,850, 10. $1,800, 11. $1,775, 12. $1,750, 13. $1,725, 14. $1,700, 15. $1,675, 16. $1,650, 17. $1,625, 18. $1,600, 19. $1,575, 20. $1,550, 21. $1540, 22. $1,530, 23. $1,520, 24. $1,510, 25-26. $1,500. “B” Main (20 laps): 1-14 transfer, 13-24. $700. “C” Main (20 laps): 1-12 transfer, 13-24. $500. “Last Chance” Mains (20 laps): 1-6 transfer, 7-24. $350. “Next-to-Last Chance” Mains (20 laps): 1-6 transfer, others $200. This event is co-sanctioned by the United States Racing Association (USRA) and United States Modified Touring Series (USMTS). USRA national points will be awarded. No USMTS points will be awarded. All USRA rules apply, including the USRA Modified chip rule. The Deer Creek Speedway sits on 60 acres of scenic rural rolling hills with one of America’s most popular state-of-the-art racing complexes and a busy modern campground. The 3/8-mile high-banked clay oval is located 11.3 miles south of I-90 (exit 209) on US 63 (0.7 mile north of SR 16) in Spring Valley, Minn. For more info, call toll-free 877-DCS-RACE or 507-346-2342 on race day or visit www.deercreekspeedway.com online.